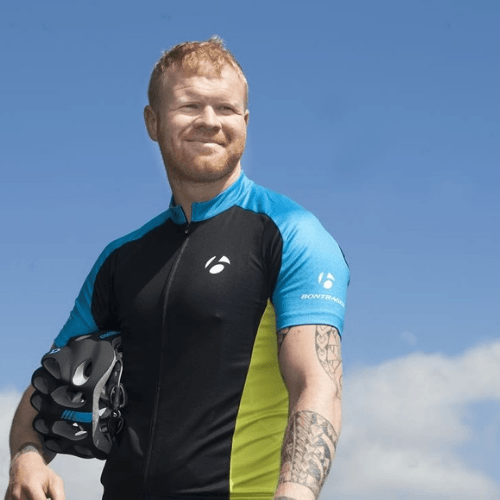 Rural Solutions are proud to announce that we are sponsoring endurance athlete, Sam Boatwright as he trains for and attempts a gruelling and intense triathlon including swimming the English Channel. Sam is a dedicated athlete who has gained notoriety for his incredible feats, all for the sake of charity. He was first dubbed the ‘Epic Runner’ back in 2012, when he successfully ran 50 miles every day for 50 days. As well has being an impressive athlete, Sam is also a full-time maths teacher at a school in Bradford, and is a real inspiration to his students, encouraging them to realise that “everyone is capable of achieving more than they ever realise”. We at Rural Solutions are truly honoured to be sponsoring such an inspiring individual as he puts himself through an intense challenge for the sake of not only challenging himself, but also to challenge the wider community to get involved and make a difference. We will be following his exploits in the run-up to and during the triathlon in July, and helping him to achieve his fundraising goals. Feb 2nd: Wattbike Bike World Record Attempt. Sam is aiming to cover over 470miles in 24hours on his Wattbike at Sandylands Fitness Centre, Skipton. Sam and his team would love people to join in and sign up to cycle with him, contact kerry@samboatwright.com to book a 1 hour slot to get involved for a good cause!